Search our listing of large properties to rent in France long term. 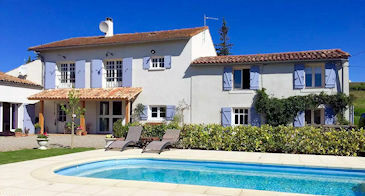 These large rental properties in South France all come with 4 bedrooms or more and can easily accommodate a large family. The houses are available to rent monthly for between 3 months to 12 months. We visit all of the properties advertised on Long Term Rentals in France to give you peace of mind.